What originally started as a tweet by Kyle Martino, turned into one of the most memorable events ever for the Crew family. The Legend’s game took place at the Ohio Historical Connection in coordination with Greater Columbus Sports Commission, and featured many Columbus Crew legends. Team Kyle: Martino, Brian McBride, Chris Wingert, Mike Clark, John Debrito, David Winner. Team Dante: Washington, Edson Buddle, Jason Farrell, Rob Smith, Tom Presthus, Billy Thompson. Hundreds of fans flocked to the venue to cheer both teams to victory. The match, which was played with goals provided by Save The Crew business ally Columbus Futsal, ended in a thrilling 12-7 win for team Martino. The Legend’s game was fun for players and fans alike. Who doesn’t want to see Brian McBride attempt a bicycle kick again? Thank you, Legends. Ready for the playoffs?! After several attempts, the Crew were finally able to clinch the playoffs, and tomorrow we will visit our historical rival, DC United. The match on Sunday had a slight weather delay. However, that did not stop Gyasi Zardes from earning his first MLS hat trick and MLS Player of the Week honors. Obviously, we preferred to home field advantage for the playoffs. However, the Columbus Crew has a history of doing well as the underdog. DC United are arguably the hottest team in the league right now, as Rooney and Acosta have breathed life into the squad. No matter the form of DC, the Crew can still take care of business on the road – anyone remember last year vs Atlanta? Thursday marks the 4th playoff appearance in 5 years under Gregg Berhalter. One of the goals of the Save The Crew movement is to help unite the community through the beautiful sport of soccer. I am pleased to say that because of YOU, we have had over 500 regular season tickets donated to organizations in need during the 2018 regular season. Countless items, from food to school supplies to clothing, have also donated to local organizations. Some of the groups that benefitted from your generosity during this tumultuous year: Boys and Girls Club, Global Youth Protection and Development, Community Refugee & Immigration Services, Communities In Schools, Gladden Community House, Star House, KIPP Columbus, Hilltonia Middle School, Livingston Elementary School, Central Ohio Worker Center, Equitas Health. Thank you to everyone that contributed to help dreams become a reality! On Saturday Jonathan “T-Bone” Smith from 97.1 The Fan threw a party at Save The Crew business ally, Hofbräuhaus Columbus. Dr. Pete Edwards, Brian McBride, Mike Clark, Michael Arace, Sean Kelly and Save The Crew leadership were all guests at the Bash. Copa90 is an amazing soccer media group, that produces stories and videos about clubs from around the world. Their website is viewed daily by thousands of soccer fans, and has over 500 independent creators, in 50+ countries that contribute to their content. Copa90 has been an excellent source of support for the Save The Crew movement as they spread the word of our cause through their channels. 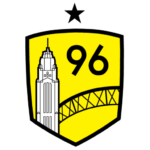 On Sunday, before the match against Minnesota, Copa90 generously donated t-shirts and refreshments for MEGATAILGATE in celebration of the success of the Save The Crew movement. I want to give a MASSIVE shout out to the fine people at Copa90. We appreciate the support. As you all know, there will be a variety of local establishments that will show the Columbus Crew vs DC United Knockout Round playoff game on Thursday, November 1 at 8:00pm. Please stay tuned to Save The Crew for a list of possible viewing locations! Find a Save the Crew business Ally showing the game and go there to watch.